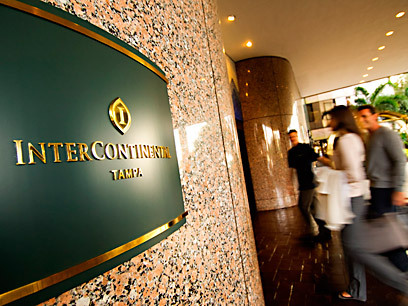 Special InterContinental Tampa Sail Tampa Bay Room Rates! InterContinental Tampa Sail Tampa Bay Room Rates - Starting at $125, the nightly rate includes a deluxe guest room AND breakfast buffet for two during the Sail Tampa Bay event - Friday, July 9th through Friday, July 16th, 2010. Tickets are sold separately to the event and information is available at the concierge desk in the lobby. To reserve the Sail Tampa Bay rate at the InterContinental Tampa, please call (866)402-0758 and mention rate code ILEUI or book directly through SAIL AWAY TAMPA BAY right HERE! So treat youself to a wonderful getaway with Sail Tampa Bay and InterContinental! I&apos;ll have more updates for you soon, just keep checking back for more things to do in Tampa Bay!